Notes: The Matuka patterns originated in New Zealand and were introduced to our Sierran streams during the 1980's. 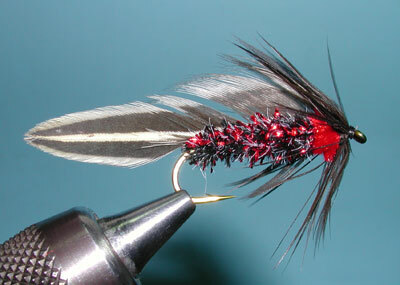 During the 1990's, the Red Throat Olive Matuka was one of the favorite streamers within Lake Crowley. 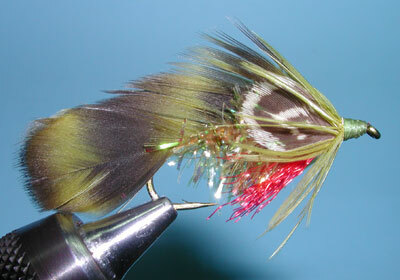 These flies can be tied in many colors such as Olive, Black, Red, and Purple. 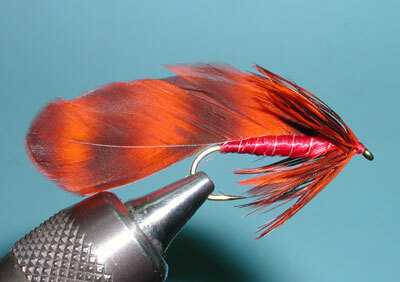 There is a trend within the Sierras to tie these patterns onto smaller hooks, such as sizes 12-14. 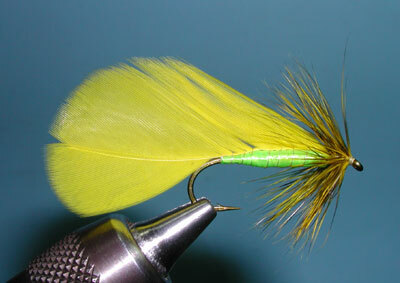 The smaller streamers can more effectively mimic the actual fry that inhabit most of the lakes and streams. Recently streamers, such as Seal Buggers and Punk Perch, have found increased favor but, come back to this pattern. 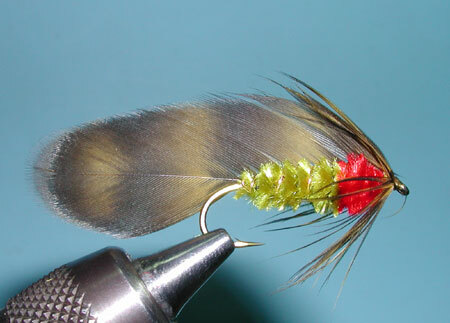 Many trout like to see something different and this could be a good pattern to reintroduce those trophy trout to. Use a sinking line and fast twitching action. I've included a variation by Bear Andrews which is depicted in the FFF Fly Pattern Encyclopedia by Al and Gretchen Beatty. He used Crystal Chenille for the body and incorporated "church window" feathers from a Ringneck Pheasant skin for the cheeks. 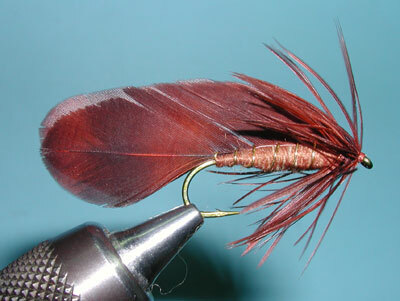 Using cheek materials on featherwing patterns is often a "trigger" effect for many gamefish as well as using a red throat material for the gills of a frightened baitfish.